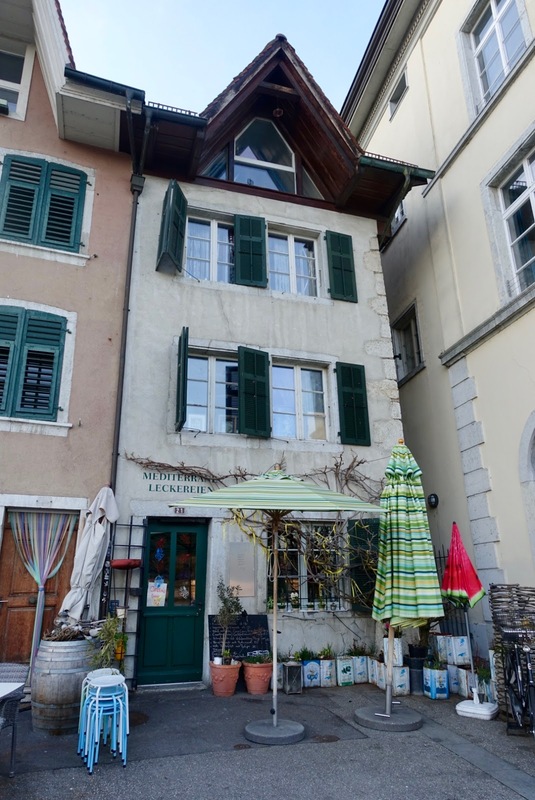 head here, for me the fact that this town is home to one of the quaintest restaurants I am aware of not only in my region but throughout Switzerland, Restaurant Mediterrane Leckereien (means Mediterranean delicacies). This place is unique, be it because of its size, its décor, its concept or its host. 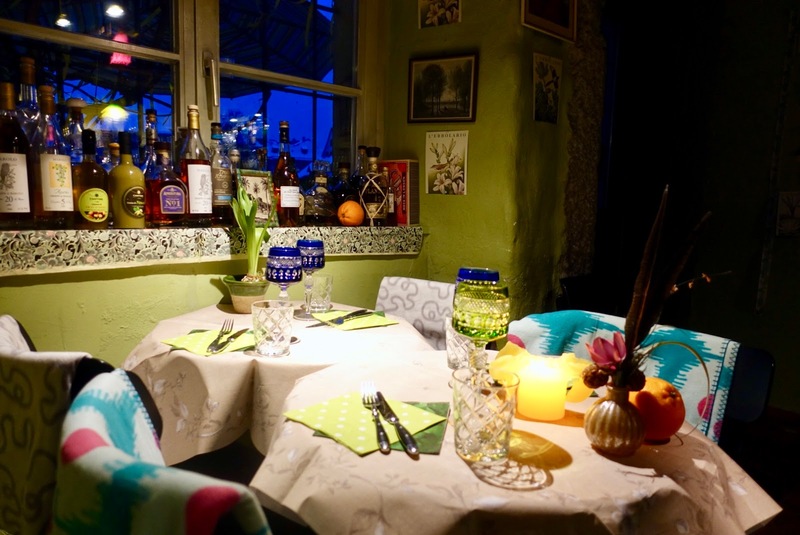 Mediterrane Leckereien’s setting in the beautiful old town of Solothurn right on the border of the river of Aare along with many other hip restaurants and bars could not be better. The building that houses this dining-spot is quite a sight as it is very small and literally squeezed into a corner. What starts with the exterior, continues in the interior. Mediterrane Leckereien is certainly the smallest restaurant in town, only six or seven tables (12 to 14 guests) wind along a bar counter on a tiny space (32 sqm). 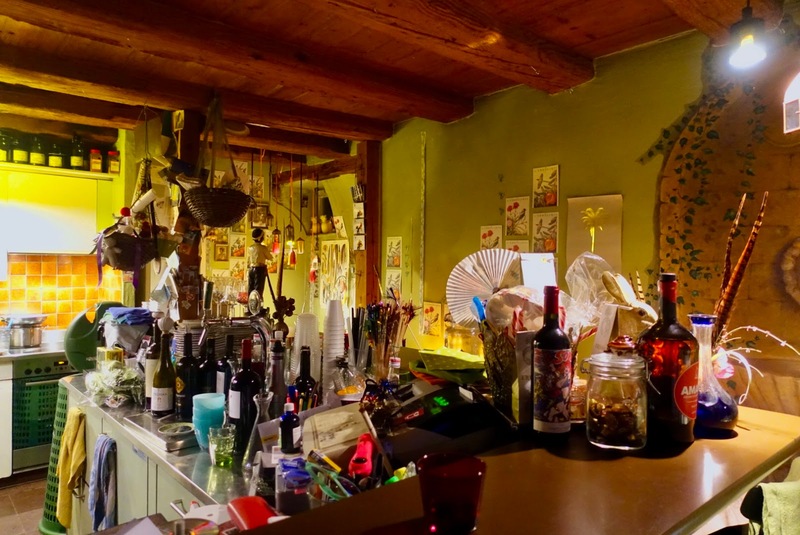 Right behind the bar – no longer in use – there is a smallish kitchen where everything is prepared in close proximity to the guests. As you would expect it from a restaurant with so little room, it is cramped. Every square centimeter (inch) is used. The interior is decorated in a way difficult to describe, in any case it is cozy here. Everything is extremely colorful and every kind of nicknack is all over the place. If you suffer from claustrophobia, this may not be the restaurant of your choice. But once you have squeezed yourself onto your seat, you probably will feel allright. As the name of the restaurant suggests, Mediterranean delicacies (Mediterrane Leckereien) are served here. What started ten years ago as a place with only two tables offering solely cold cuts and cheese is now a full-featured eatery, although there is only one menu available. When the guests are settled, Sonja, the host, which is at the same time the chef and the owner, informs them about the daily offer. You can have all the six courses or only some of them, also individual adaptions are possible. As Sonja’s mother-in-law is from Sicily/Italy, she knows how to cook Italian food just like Nonna’s, but also dishes from other Mediterranean countries as Turkey are on the menu, discovered while traveling in the area. Furthermore, family recipes, just as the one for the legendary beef fillet of the host’s mother, are used here. When it comes to the quality of produce, Sonja knows no compromises. Only the best goods are used here to prepare tasty dishes with a twist. 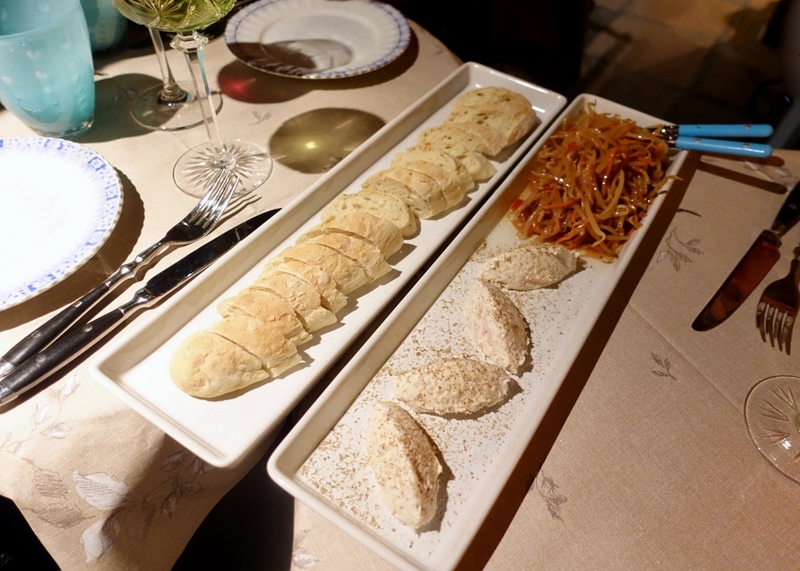 Everything, from the different breads served with the first three courses to the dessert, is home made. 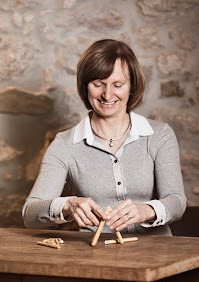 She is also an expert when it comes to wine and is more than happy to advise on the perfect wine to accompany the meal. The first course reflected how everything began ten years ago, with cold cuts and cheese. 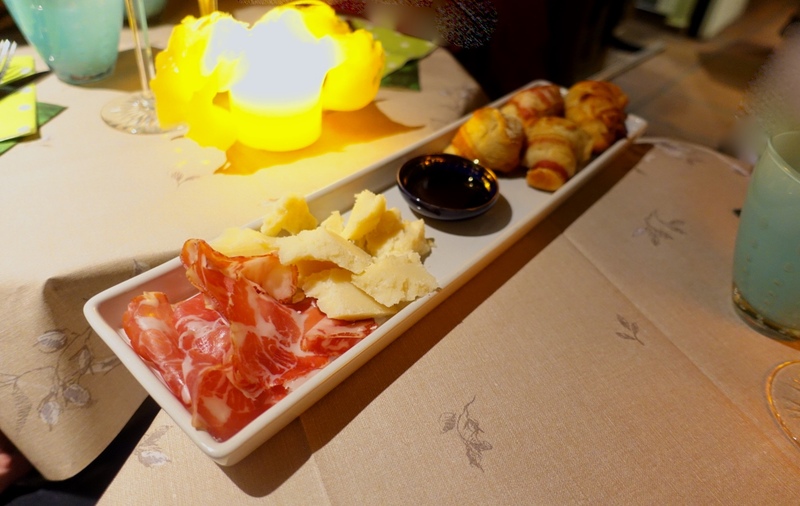 A platter with bread-bacon rolls, parmesan cheese, reduced balsamic & coppa ham was put in the middle of the table to share amongst us. For me the most impressive part was the bread, crispy and full of taste. The meal was continued with a fish course, trout mousse together with an Asian Salad. Another type of bread accompanied the dish, a delicious baguette. I was astonished to find out how well the fish and the salad balanced each other out perfectly both in terms of taste and texture. 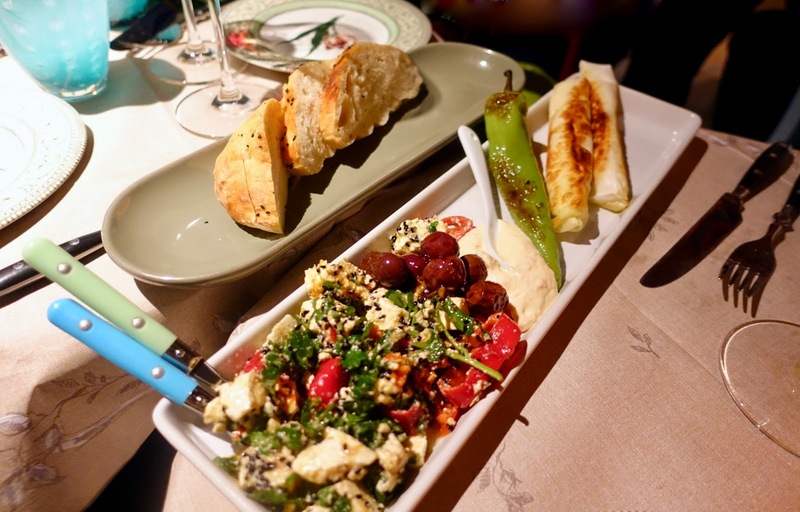 The next platter was Turkish influenced, borek cigarillos (pastry rolls filled with feta cheese), a mild green pepper, strained yoghurt, Greek-Turkish salad, olives and Turkish flat bread. Once again, I loved the scrumptious bread, which was fluffy and crusty at the same time. But all the other elements were big on flavor too. 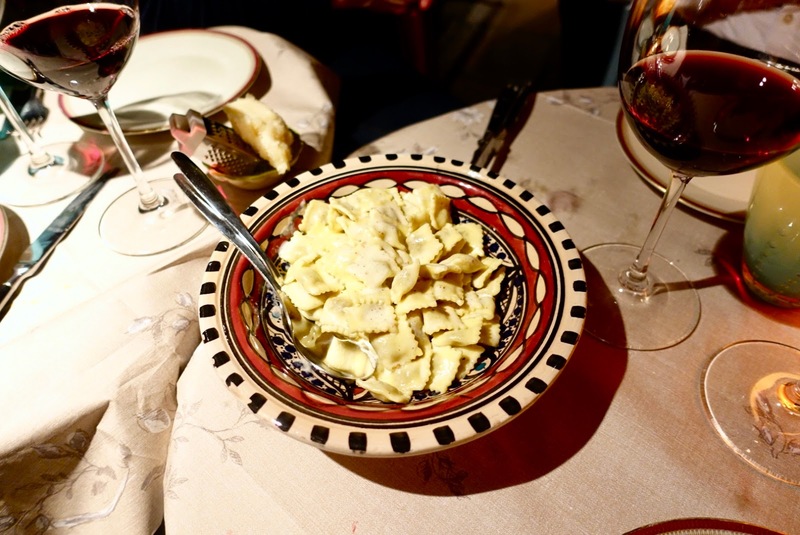 The journey went on to Italy with the best ravioli imaginable, filled with veal and served with a cream sauce. This pasta dish was cooked to perfection, with a thin dough, the ideal bite and an exquisite filling. and it was nothing short of excellent! It was not only amazingly tender and juicy but also very aromatic, certainly the best beef fillet I have eaten in a long time! The meat was not “drown” in a sauce, but only seasoned with some reduced balsamic, which was the right thing to do when providing such a high-class product. 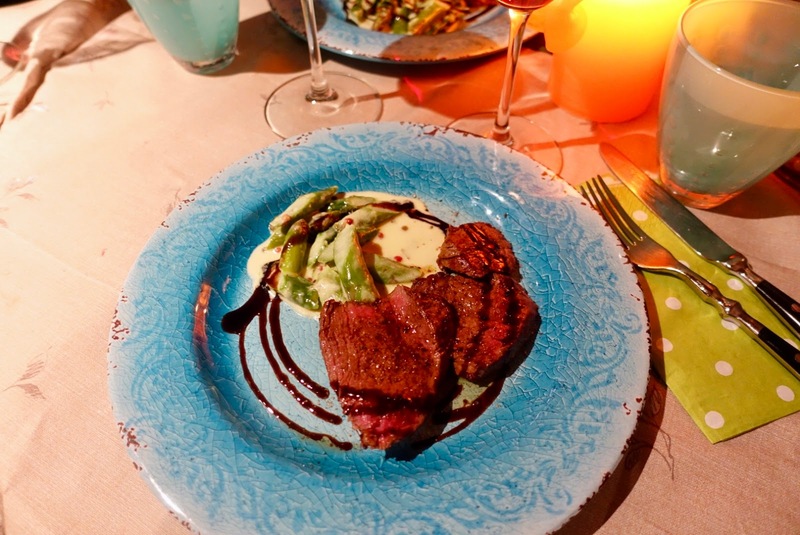 The beef was paired with creamy asparagus, which was a great complement. which was the cherry on the cake of this great meal! 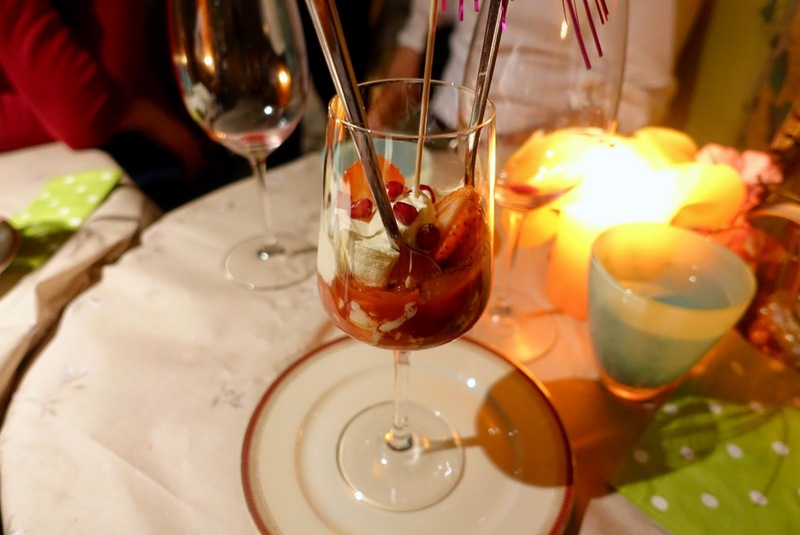 It was fruity and creamy at the same and time and resulted in a heavenly combination. Until two years ago, Sonja Guzzanti, ran the restaurant on her own. Then, her son Zino joined the family business, but she is clearly the boss. Mother and son are both amiable and easygoing. Sonja, who everyone calls “Soene”, is a real character. She is very passionate about what she is doing, and this enthusiasm is transferred to her guests. While not a being a trained chef, she has a culinary background. She manages the place in a seemingly effortless manner, always relaxed and good-humored. However, when the restaurant is fully-booked, as it is almost always the case – Make your bookings several weeks in advance! –, then be prepared to waits every now and then. We were a party of four, had all the six courses, but two of us shared the main course (meat) and the dessert. This resulted in costs of 87.50 SFR per person. According to my calculations, the full menu would have amounted to 105.00 SFR, i.e. in case there had not been any shared plates. In view of the high level of quality, I consider this price as fair. When dining at Mediterrane Leckereien, you not only have the chance to experience noteworthy culinary skills but also hospitality at its best. The restaurant is tiny and cramped, but this is outweighed by a cozy atmosphere and a kindness from mother and son that is second to none. There is only one menu on offer, but every single bit is delectable, packs ton of flavor and makes your tastebuds sing!